Festive season is around the corner… time flies when you are having fun ! If you have not booked your holiday yet, we have special packages for early birds. Book now while offers last. "White Christmas" will be our theme this year. 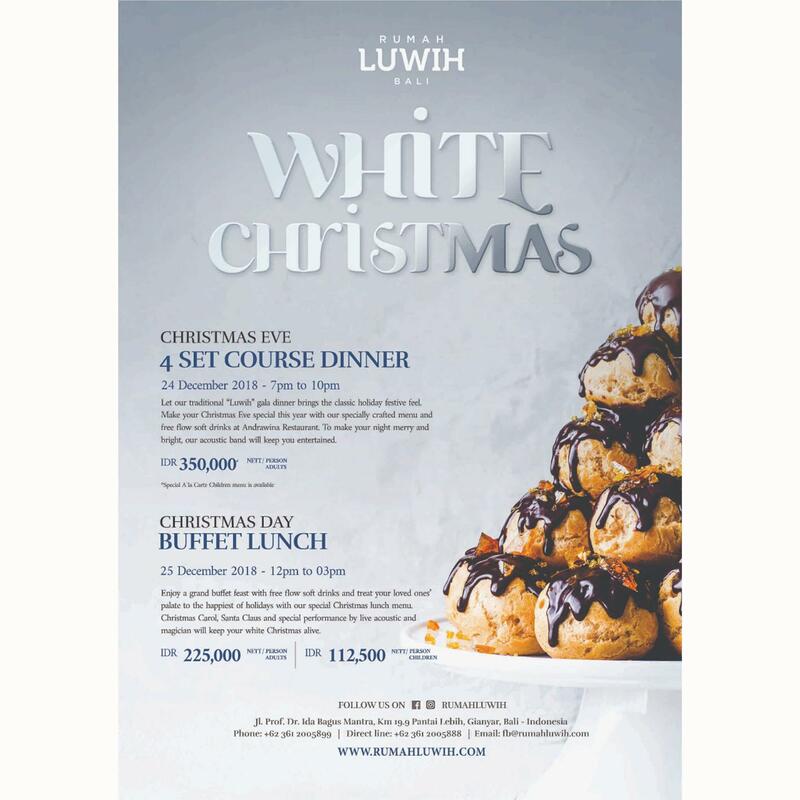 Enjoy our special set menu dinner on Christmas Eve at IDR 350,000 nett/ person and Christmas day buffet lunch at IDR 225,000 nett /person. The fun continues as we will bring nostalgic "TEMPO DOELOE" theme for New Years Eve. Put on your classic outfit and let's bid farewell to 2018. Only at IDR 550,000 nett /person including buffet dinner.